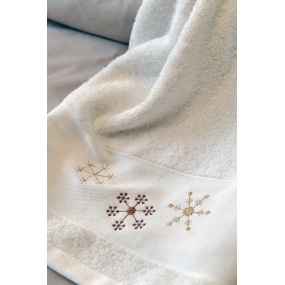 The white flake guest towel is embroidered with beautiful beige snowflakes. This guest towel and its mountain decoration will naturally find its place in your home: as towels in the kitchen as well as in the bathroom and toilet. 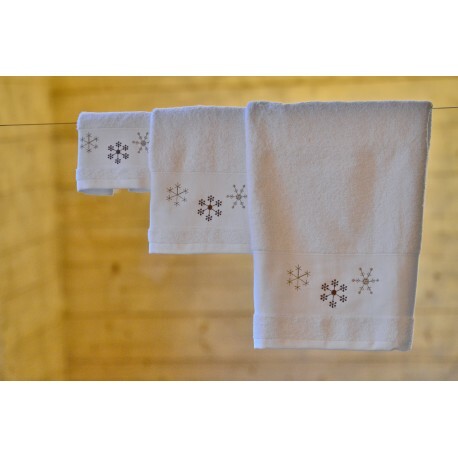 This same snowflake guest towel comes in grey towel embroidered with red and silver flakes, to put a delicate touch of color in your interior. Now know which one to choose... why don't you choose both? Do not forget that at Vagabonde sponges are always coordinated with the duvet covers. The flake bath line is naturally coordinated with the Flocon duvet cover! White guest towel with snowflake from Vagabonde is made in a beautiful soft and soft sponge (500gr / m2).